Prepper Website Founder Todd Sepulveda! 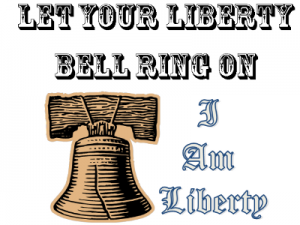 Host: James Walton “I Am Liberty” Listen in player below. There is something about a man alone with his mic that really makes me excited to podcast. I cannot help but enjoy the journey we take each week together. Every so often though I happen upon a guest that is so worthy of my audience and their time. To me Todd Sepulveda is one such guest and a guy I have been involved with for a very long time. Todd is the man behind the best prepper resource on the internet. Prepper Website. I visit this site at least 30 times a week. It is a go to spot for great content and is THE Encyclopedia for past articles on any topic you desire. There is just so much information out there and its great to have a resource like prepper website to visit to get content from a number of different sources. If you have never visited the site you are missing out on a lot. The site updates daily and brings you new content each and every day. For those of us who just need that prepper and survival fix Prepper Website is the only resource where you can go and get that fix. The content is often practical rather than news based, fear news. This show will be one to remember with a great guest like Todd who is brought a wealth of knowledge along with information on what’s up and coming in his world. Listen to this broadcast or download “Prepper Website Todd Sepulveda” in player below! Previous: Previous post: Preparing For Your Personal Disaster!